Recently I was tasked with getting some code coverage results into our TeamCity builds that run our Cake build script. There was previous investment in OpenCover for varying reasons, so despite it getting a bit stale, that was an initial constraint. There were some surprises along the way so I thought I’d pass along the knowledge sharing here. Even if you don’t use one or more of these tools like OpenCover, there might be a useful nugget of info here and there, including nuggets of NuGet which often gives me grief. First off, a Cake task to run the coverage that configures OpenCover and XUnit, runs the tests, and sends the raw results to Report Generator. For OpenCoverSettings, I found the Filter and Register parameters to be the most important parts of the OpenCover usage. For XUnit2Settings, I didn’t find a Verbose property to match up to what XUnit offered but found the base ToolSettings class allowed for “manually” appending other parameters via ArgumentCustomization. Since there can be many tests that may take a while to execute, it’s handy to know what tests are executing when watching the build. Since I was already using Visual Studio Code and the Cake extension for editing, I invoked this Cake task as below from its Integrated Terminal. Opening Cake/output/index.htm that ReportGenerator produced provided a friendly way to verify the coverage data. Once the coverage looked good running locally, it was time to modify the TeamCity build configuration so that the artifacts path (General tab) included Cake/output/OpenCover. Redirecting it to a zip file was advisable given the output can easily be several MBs, mostly from the large coverage results XML file. After running the TeamCity build, the decompression of the zip file when expanding the artifacts was nearly transparent and pretty quick – just a slight loading delay on the initial hit. When opening the coverage report through the artifacts zip it displays and functions just as it does unzipped locally. It’s nice to compliment the raw coverage artifacts with coverage metrics that TeamCity can incorporate into the build dashboard, showing trends and allowing for optionally failing the build depending on the metric changes. TeamCity doesn’t officially support OpenCover as it does for dotcover, partcover, ncover and ncover3. While there was an older, non-official OpenCover plugin available, I didn’t have complete access to this build server and preferred to avoid the plugin route. It seemed easy enough to manually report coverage so I went that direction. Most of the useful summary data can be found in the CoverageSession/Summary tag in the results XML file generated by OpenCover. With that in mind, the coverage task was modified to pass in the results XML filename to a new method for parsing and reporting to TeamCity. TeamCity needed service messages written to the build output in the following format to be made aware of the coverage metrics. The relevant code coverage keys along with their descriptions are listed in Default Statistics Values Provided by TeamCity. Each metric of current interest has a visited value, a total number value, and a corresponding coverage percentage value. The following loads the coverage XML file. It calls a method to report each metric, passing the summary node data along with a mapping of the OpenCover attribute names to the corresponding TeamCity statistic keys. // Sequence points / statements. The method for reporting a specific metric simply grabs the attribute values from the XML node, calculates the percentage, and uses Cake’s logging DSL to write informational output in TeamCity’s service message format. Afterwards the build log will have output like below. When viewed in TeamCity’s build overview tab the metrics look something like this. Some .NET Standard libraries are a part of this app and it was evident that there was some missing coverage data. An OpenCover .NET Standard issue indicated .NET Standard support was not yet there on NuGet (preview or otherwise) and only on AppVeyor. In the interim I decided to download the prerelease NuGet package from AppVeyor and bundle it in a Tools/LocalPackages folder within the app. It seemed clear to me that I couldn’t use #tool with OpenCover anymore since the preview version I needed wasn’t on NuGet so I removed that. So now the question was how to install the local .nupkg file within the Cake script. First I tried Cake’s NuGetInstall, something like the below, which I called shortly after the #tool and #addin sections. Installing package 'OpenCover' to 'C:/source/MyApp/cake/tools'. NuGet: Process returned an error (exit code 1). 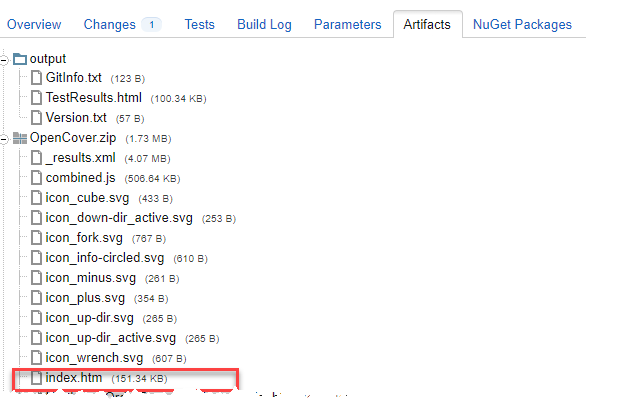 First, a bit more direct to NuGet.exe (v 4.4.0-preview3) but through Cake’s StartProcess. Perhaps not surprisingly, the same error. Installing OpenCover using: nuget.exe install OpenCover -Source "C:/source/MyApp/Tools/LocalPackages" -OutputDirectory "tools"
Installing package 'OpenCover' to 'tools'. I also tried just running NuGet.exe directly in any command prompt with different variations and it was the same error. There was some mention of monkeying with NuGet.config on this StackOverflow post but I didn’t want to go down that route. I was also over NuGet.exe at this point. Using Install-Package in Windows Package Management is NuGet.exe free and worked fine when running something like the below in a PS console. Running the same command but from Cake using the Cake.PowerShell addin worked fine as well. Failed to Execute Powershell Script: System.Management.Automation.CmdletInvocationException: The handle is invalid. ---> System.IO.IOException: The handle is invalid. Okay, OutputToAppConsole has to be explicitly set to false when running non-interactively. Install-Package : Unable to find package source 'C:\BuildAgent\work\a92646c79afd73e7\Tools\LocalPackages'. Use Get-PackageSource to see all available package sources. An error occurred when executing task 'all-tests-coverage'. OpenCover: Could not locate executable. Dammit man, why does the build agent hate me so? The build agent is also Windows 10 like my desktop and it had the same version of Package Management. What gives? It dawned on me after asking the below to be run on the client’s build agent. The provider 'nuget v2.8.5.208' is not installed. nuget may be manually downloaded from https://oneget.org/Microsoft.PackageManagement.NuGetProvider-2.8.5.208.dll and installed. This rang a bell now. I forgot I received the same before with my PowerShellGet work and had to manually install the NuGet provider. Why that’s not out of the box like that I can’t fathom. Initially I started to ask this be run for me on the agent (which I didn’t have direct access to) but decided it was more self contained and self documenting to have a prebuild TeamCity step that ran the below PowerShell. Technically that only needed to be run once but if already there it doesn’t hurt and it’s quick and covers it on a different future build agent or changes to the current one. Yup that’s it, one line of code. I had no idea #tool supported local and UNC paths and don’t recall seeing that on the documentation. I found out that handy tip asking in Cake’s Gitter chat, only I received the response after all the above. In any event thanks to the cool Cake contributors for building a great product and being helpful with support. Ensure full debug PDBs of app binaries are there for OpenCover for correct coverage. Recommend Pinning Cake addin and tool versions. Not specifying version means the latest which means each build you’re taking a gamble on Cake script breaking changes as new versions come out.